CAITLIN AND CISCO EMABRK ON A NEW JOURNEY - While Nora (Jessica Parker Kennedy) grapples with the revelation that Thawne (Tom Cavanagh) killed her grandmother, Team Flash must stop the formidable team-up of a newly sprung from jail Weather Witch (guest star Reina Hardesty) and Silver Ghost (guest star Gabrielle Walsh), a new meta-tech villain who can control engines and motorized technology. Meanwhile, Caitlin (Danielle Panabaker) and Cisco (Carlos Valdes) discuss creating a meta-human cure. David McWhirter directed the episode written by Kelly Wheeler & Sterling Gates (#510). Original airdate 1/15/2019. 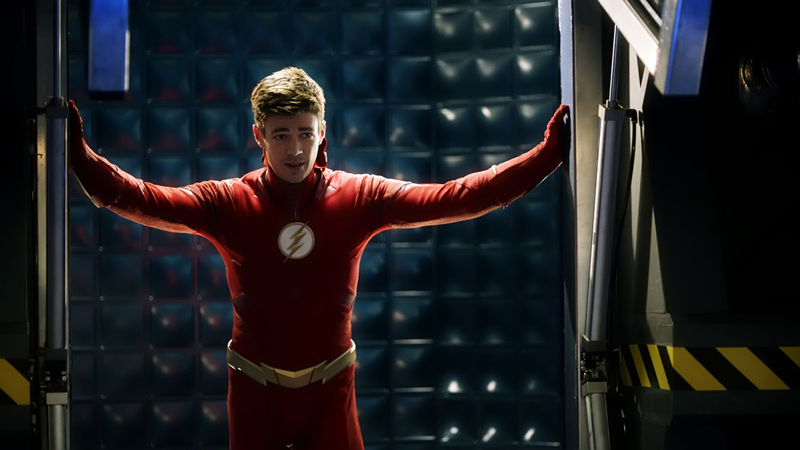 For me the most interesting stuff were the talks between Nora and Eobard with the countdown clock in his cell. The Silver Ghost was a bronze age villain that battle the Freedom Fighters. Why does the show always portray Nora as someone with the mentality of a 5 year old? Yeah she's Barry's child, but that doesn't mean she is STILL a child mentally. Come on, idk how old Nora's meant to be on the show but the actress (Jessica Parker Kennedy) is older than I am. She's older than Grant Gustin and Candice Patton too. She looks younger, which is all that matters. Jesus...when Nora, Iris, and Cecille are all in the same scene. I’ve been making this complaint about Nora for a while now. they really are making her totally into a moron. Eobard Thawne is her mentor? Oh yes. I’d stick my fork in a piece of that triple layer chocolate cake. Did one of the writers for this episode recently watch Xmen The Last Stand? How did Weather Witch not recognize Nora in her costume? Her mask conceals absolutely nothing. I get the sense that Iris coddled her pretty bad. Yeah I thought it was explained early on the Iris coddled her and was very protective of her because of what happened to Barry. The whole not close to Iris thing was her trying to get away from Iris' protection. I can see where this would cause a child to be the way she is even at her current age.